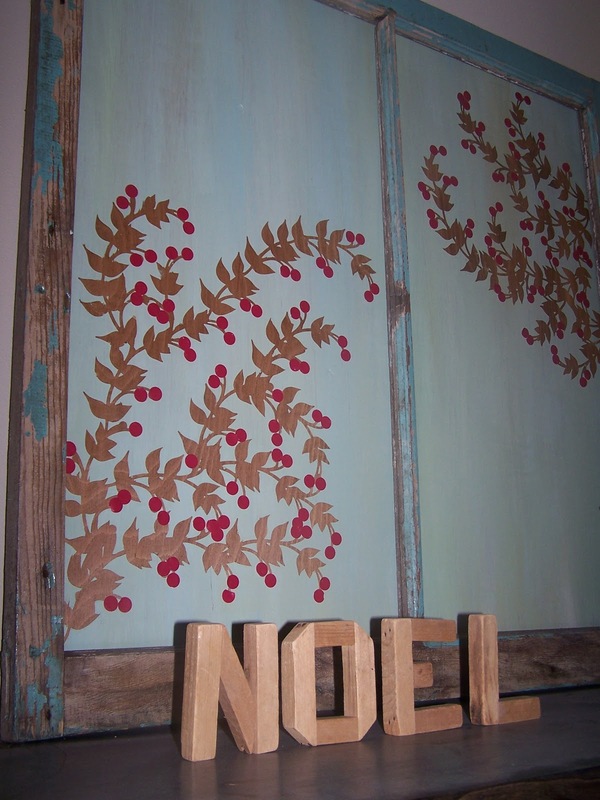 On the second day of Christmas Beyond The Picket Fence had in store...some ways to modify my existing decor. On a budget? Tired of your old Christmas stuff? Want to simplify? Get creative and make simple, cheap changes to your existing decor. 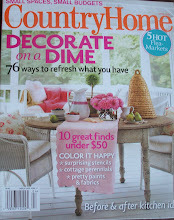 For example, remember these Pottery Barn inspired maps that led to my Under $100 Linky Party? I cut some letters out of glitter cardstock, used washable glue stick and now I have Peace on Earth (get it--peace on the earth maps?). And remember my art for free (if you have seen Bedtime Stories you know how to say that in the right voice)? I punched some cranberry colored berries out of vinyl and stuck them on the existing berries. Oh, and those cool letters--I bought them a few weeks ago, not a complete alphabet but many--they are old and handmade and came in a great old crate. They were spelling out my last name, now noel. 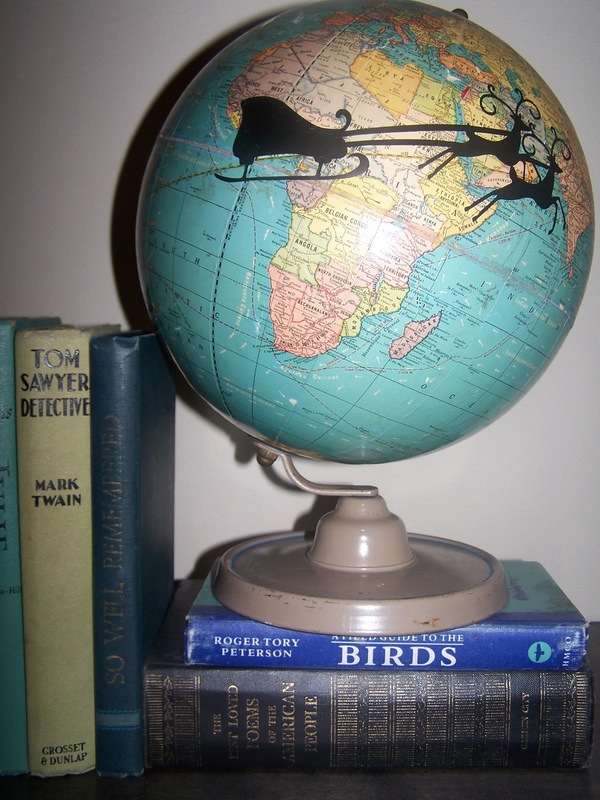 My vintage globe got a quick update with a sleigh and reindeer cut from vinyl using my cricut. 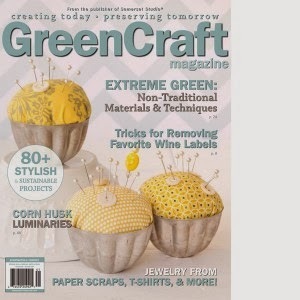 No cricut? Look for stickers or print something from the computer. I am sure there are many more quick modifications I will do, just getting started. So look around, get creative, and modify! 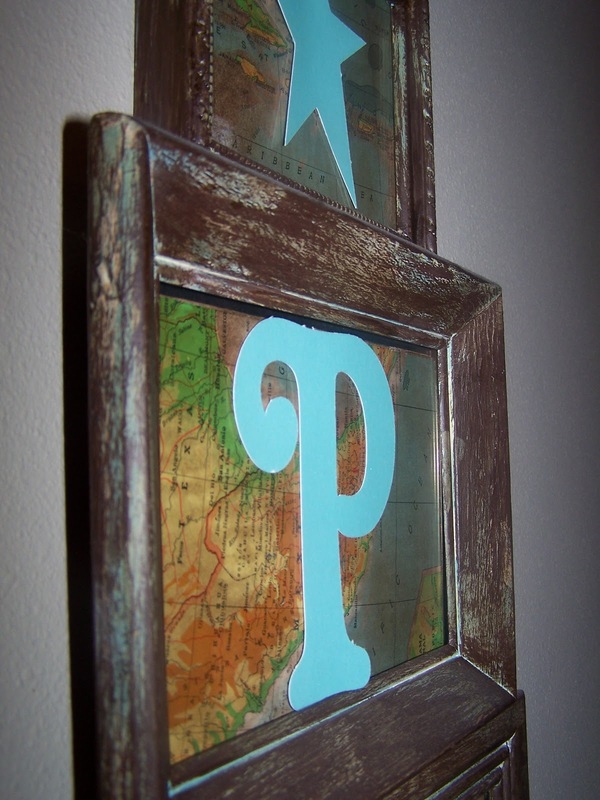 Find more fun ideas at Funky Junk Interiors! Clever, clever woman! I will making a Santa globe to send to my grandkids! 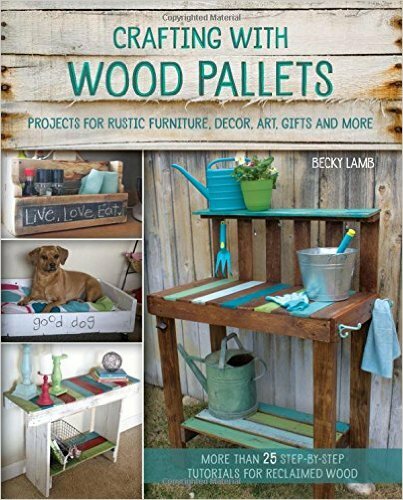 Thanks for sharing some wonderful project ideas! This is such a "COOL" idea...love it! LOVE, that santa sleigh-on the globe, i have to do that.. So Darn Adorable.. I dont have a globe anymore, but now im on a mission-and so love the circle garland.. Thanks for sharing.. 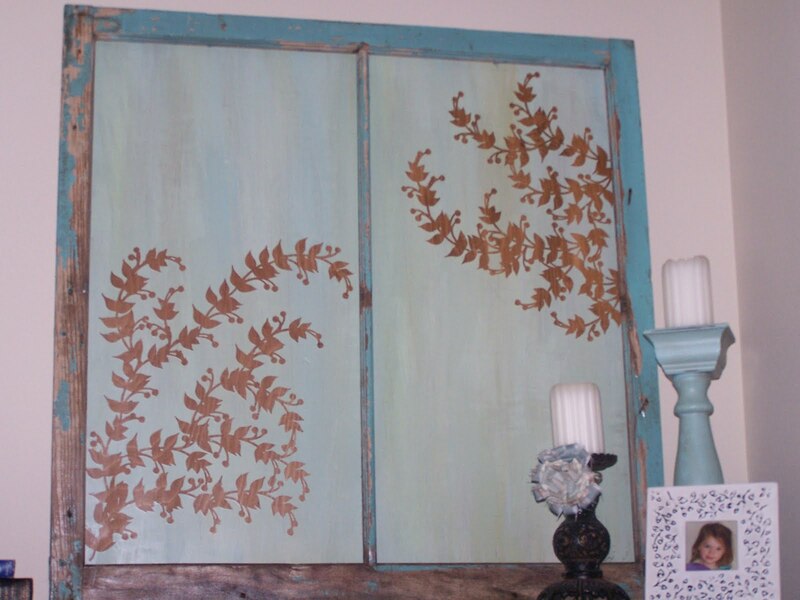 I admire all of your fab ideas for using your existing decor. It really makes your home personal and not "big box". Love it. Fun! Yesterday I got out my stencils (combo of metal and paper) and spelled "peace". I hung them from some string and attached it to my globe. We obviously had the same thought - PEACE on earth! My favorite is the globe with Santa sleigh. Almost makes me want to go out and get me one (globe). Love your modifications. I finally bought a Cricut and having a ball! Hope all is well in the great State of Montana and you are receiving alot of snow! I love the globe idea!